Thank y’all for coming. Thank y’all for being here. I heard this over and over in New Orleans. I’m so glad I went that now I’m spending my time figuring out how and when I can get back there. 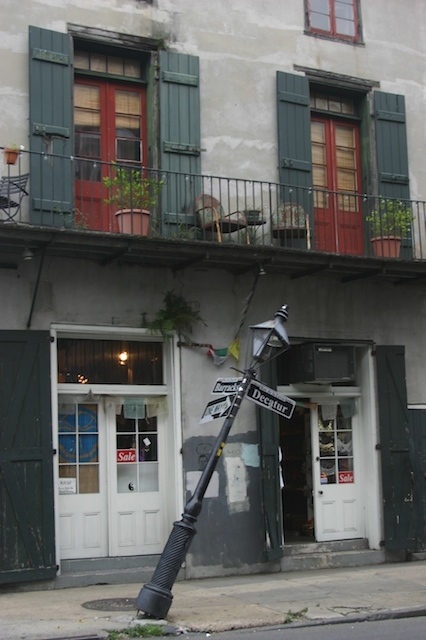 New Orleans is a banquet for the senses; wafts of music and the smells of good food mingle in front of open doorways. The magnolia trees were in blossom, it was crazy to see local Louisiana strawberries are already in season, po’boys are bursting with friend oysters, crawfish are boiling in their spicy bath. The city may have had its heart ripped out, but its soul is alive and well. There is raw, vibrant energy blowing in the wind. If you take the time to ask, people will tell you their stories, what it was like after Katrina, what it took to come back and what it’s taking to stay. We met a woman who is a marketing director for a hotel during the day, and driving a cab at night. She told us everyone is doing it, working 2 or 3 jobs to make ends meet. 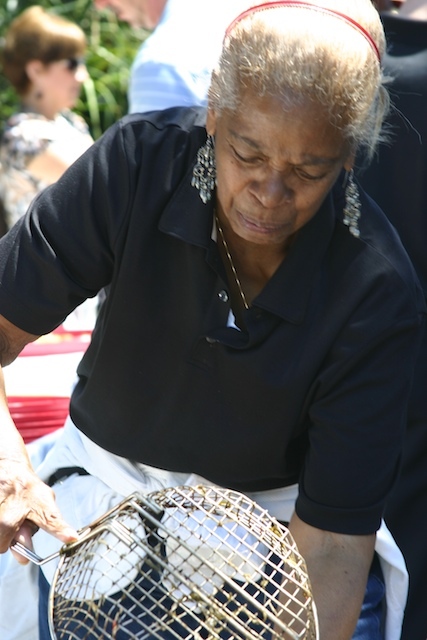 Aunt Frieda works the crab boil pot at her nephew’s new restaurant. She offered to help, and he stuck her over a hot pot all day, but she’s happy to be there and to be helping her family. I was excited to be going to New Orleans, but I didn’t expect to fall in love. I was nervous and uncertain. I wanted to see as much as I could: the ruins and the restorations. It’s easy to stay in the Central Business District and think everything is ok, but on a Tuesday night, it’s like they gave a party and no one came. Less than half of the original residents have returned to New Orleans, school age kids are scarce, and the people that are there are paving the way for the new, New Orleans. The IACP conference was great; I met the most amazing people and learned all sorts of different things. More about that later, but right now, the message is: put New Orleans in your travel plans. 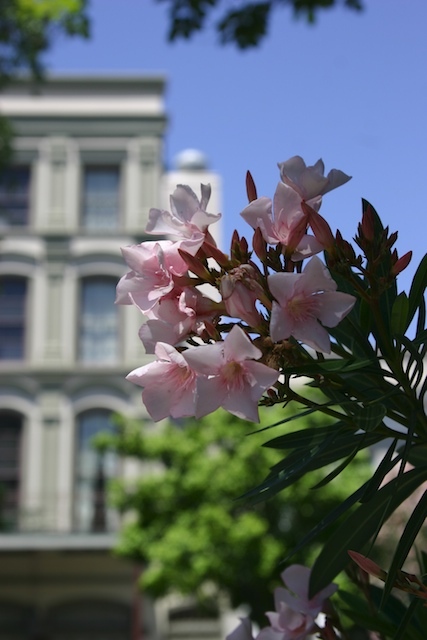 If you like any of these things, you’ll find them in abundance in New Orleans.